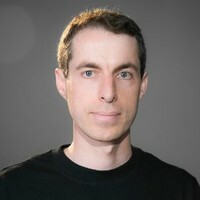 Adam is the current lead programmer on EverQuest® for Daybreak Games and has helped to release five expansions. Before his career in game development, Adam worked on Boeing's International Space Station software team followed by working on flight simulators before starting his own software business. As a lifelong gamer, Adam decided what he wanted to do with his life when he found EverQuest® in 1999. His love for the game pushed him to learn software engineering and he holds a Bachelor of Science in Computer Science with a minor in mathematics.